Challenge 2 of 3 – Done! I don’t have a lot of time tonight as at the time of drafting this, it’s only a matter of hours before I’m off to the airport… time to get to the States for the next part of my challenge, so a brief update really. If you had to sum up a whole experience into one word, that is what springs to mind when I think of what I’ve just done. Followed by silence as I think of how to adequately describe what has been just an absolutely amazing time in my life. It was not easy and I think that overall, it was a good job I had no experience to base my expectations on, because if I’d known quite how tough it would be, how ill I would feel in parts, and some of the mental challenges, then I may not have been so quick to sign up. That being said, I think it went really well for my first stage run… and yes, I finished it. It wasn’t all running… on some of the terrain that was not possible… there was walking, a bit of climbing, wading through rivers, trying not to get stuck in mud and rice fields, fall off log bridges, and hopping around on the spot when stung by some kind of buzzy thing… there were tears, laughter, a lot of smiling… there were falls, injuries, sickness… there was walking and star gazing through the night, fantastic awesome scenery, there were blisters… my god how many blisters… nearly everyone I think had some and by the end of the week as everyone went to get hot water for drinks and dinner, it seemed as if everyone was hobbling. But over and above that, I believe there are two things which make these events what they are… one being the individual’s drive to challenge themselves, to not give up, to achieve… to battle whatever dark moments they have, to enjoy the lighter ones and then often reaching out to others to help them do the same… and the main one, quite simply, the people. Because it’s the people you meet, how you get on, that create the whole experience: both the individual aspects and the collective: your tent mates, the people you talk to a little bit, the people you talk to a lot, those you help and those who help you… an experience like this, it seems to strip everything away… all the materiality, the day to day aspects of life that often we allow to pile on top of us until what we truly want, who we truly want or crave to be, gets swallowed whole by responsibility, belief patterns, expectations of the self and others, by the necessities of the life that we have created. On an experience like this, we can strip that away and see who we truly are… it allows us time to be reflective and face our fears, our worries, our demons… it gives us space to think, to feel… to just be. Is it like that for others? I don’t know… these are just my thoughts as I type… I’m sure there will be many more once I actually take time to “stop”, let everything assimilate and review the whole journey I’ve been on. 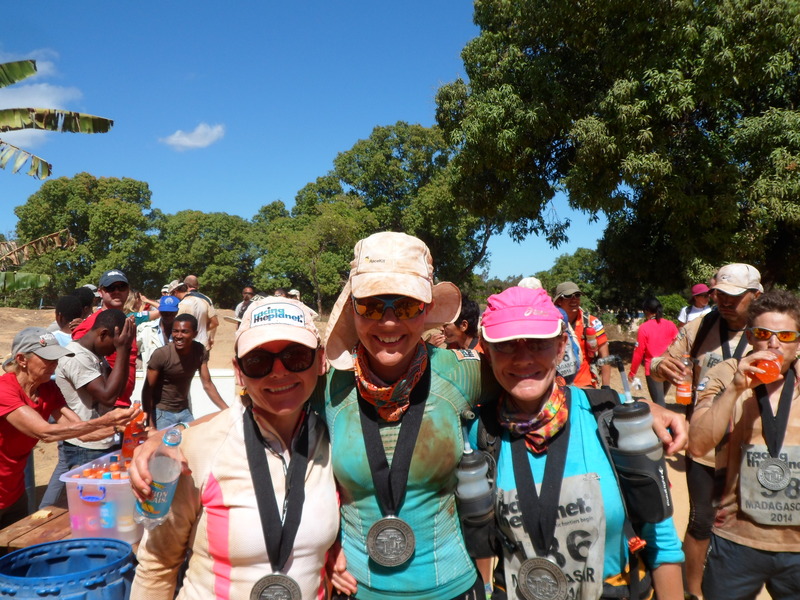 I am extremely glad I jumped into this, and that Madagascar was a starting point for me… what a wonderful adventure to start with! The memories it has given me, the experience for what I am thinking of potentially doing in the future… but mainly, the amazing people I’ve met and become friends with and who I hope will be in my life for a long time to come, and not forgetting the overall memories that I am left with. If anyone is considering doing something like this, then I would say absolutely, go for it, without a shadow of a doubt. And once again a reminder… that I am also trying to raise funds and awareness for the UK charity Refuge… who help people get out of domestic abusive / violence relationships and to safety. If you would like to share on social media, with friends, with family… my charity page link is: http://www.justgiving.com/michelle-payne4. Wishing you all a great week ahead. And so the time is rapidly approaching for Challenge 2 to commence… 250 km across varied terrain in Africa. The last email I read from Racing the Planet brought more information, including the fact that 4 members of staff had had their luggage lost so it was a good idea to pack as much as you could into your hand luggage. There then followed some frantic searching online for hand baggage allowances. Now this may be a sign of things to come… and doesn’t really bode well for either my packing skills or how much it looks like I will be running with on my back. It turns out the airline has an allowance of 7kg for hand luggage (within dimensions) plus you get a handbag to carry things on. At 2am everything came out of the main bag, scattered across the living room floor and lots of squashing packets into creviches began. I’m not quite sure how well this is going to go down when it’s time to go through those x-ray machines… what if they insist I have to open my back pack up? There was, of course, no room to put my trainers in the pack. Now if there is one thing you will not be able to replace for a race… it’s going to be this key item. We spend time breaking them in, we send them off to get stitched up for gaitering… there is no other item that you have probably taken as much thought and planning with as what goes on your feet! And that’s not just a race of this type, but any running. Blisters and foot problems make or break a race. There is therefore only one solution… and that’s to put the Converse into the luggage and wear my running shoes. Trail shoes. Woah… what a look to rock through customs LOL! If anyone fancies watching the updates of the race, please click here. If you want to email me to send encouragement to keep me going through, what I have been reliably informed, will be moments of hell, please click here. If you want to read a response to any emails sent, and to catch up with my thoughts on how each day is going, my blog (along with others) can be found here. And of course, not forgetting the other aspect of what I’m doing here, highlighting the fundraising and need to get awareness out about domestic abuse / violence, to say that no, it is not ok, please share, donate, and get the message out, my justgiving page can be found here. 4 flights folks… I’m possibly on one of them right now as you read this! Domestic abuse / violence is a topic that is not talked about easily. It is easily hidden away because most people do not want to acknowledge the existence of it, don’t want the subject to touch their lives and also because once you know about something, there is then a choice about whether to do something about that new knowledge. Such choice automatically then leads to responsibility. Who wants to take responsibility for reporting domestic abuse? Who wants to get involved in that? The answer is generally a big fat no, with such inaction then lending more power to the abuser, because they get away with so much more, feel safe in the knowledge that they won’t be stopped and actually, if no-one ever does anything, it sends the implicit message that it is allowed. Yes, you read that right… by not doing anything about it (or sitting on the fence as it were) if you know about it, do nothing about it, then you’re saying it’s ok. But if you know abuse is happening and want to help someone, what do you do? Who do you turn to? What help is available? If you don’t know the answers to such questions, that too can stop victims getting help. So the aim of running these challenges is not only to raise funds (which are desperately needed) but also to raise awareness of this topic. Therefore, the charity that I chose was Refuge. Although I have a full time job in the City, I am also a qualified Counsellor. I work in private practice with clients, with whatever issues they bring (from self-esteem, relationships, body image, negative thought patterns, generational patterns and more) and additionally as a volunteer with a local domestic abuse charity. Please note that this is not Refuge. Refuge opened the world’s first safe house for women and children escaping domestic violence in Chiswick, West London, in 1971 and have been providing help to those who need help to escape. As Government funding is not enough to sustain the demands that Refuge faces… and let’s face it, demands that shouldn’t be necessary in any day and age!… it relies on help from volunteers and donations to meet those demands… demands that ultimately means lives are saved! Ways that they get such help is through challenges and events, such as running… which helps to raise much needed funds and helps to get the message out about what domestic violence / abuse means and can entail, and it was one such event that brought me into contact with them. That event was the Virgin London Marathon and the first of the Triple Continent Challenge. Now some friends (who aren’t runners) thought that because I’d already completed a long race by this point, figured it would be easy. That was, until I pointed out I wanted to run the whole way… and in a much quicker time. Specifically to shave at least half an hour off my time, or more if it was possible. But predominantly to do this without stopping, with all the niggles that I had had to date and the fact I hadn’t run more than 13.1 miles non-stop. I hadn’t figured on the amount of people running it either until someone pointed that out. And it was at this point that I knew I needed help. Professional help (yeah yeah I can hear some of those friends’ voices laughing at that…) because it’s one thing to actually go and totter off down a trail marathon (or ultra) with a lot of walking (and pain, which kinda goes without saying) as a one-off, it’s quite another to specifically train for and run a road marathon… one of the world majors… with virtually no proper training experience, especially if you’ve had quite extensive hip surgery some years previously which meant spending about 3 months on crutches. 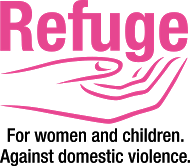 and if you would like to find out more about Refuge and the work it does, please click here. And of course if you have ever fancied running or jogging/walking a marathon to help a fantastic charity, then please get in touch with Refuge to see about getting one of their bond places! I’m flying out very shortly to start the second challenge in Madagascar, so will blog the next post when I can. Many thanks for taking the time to read this, and please do spread awareness of what domestic violence / abuse constitutes and how people can reach out and get help. Don’t fence sit (you’ll get splinters eventually ;)… say No to DV! It wasn’t my birthday or any other special day. And he said a lot of cruel things that really hurt me. I know he is sorry and didn’t mean the things he said. Because he sent me flowers today. It wasn’t our anniversary any other special day. Last night, he threw me into a wall and started to choke me. It seemed like a nightmare. I couldn’t believe it was real. I woke up this morning sore and bruised all over. I know he must be sorry. and it wasn’t Mother’s Day or any other special day. Last night, he beat me up again. And it was much worse than all the other times. If I leave him, what will I do? How will I take care of my kids? I’m afraid of him and scared to leave. But I know he must be sorry. Today was a very special day. It was the day of my funeral. Last night, he finally killed me. He beat me to death. 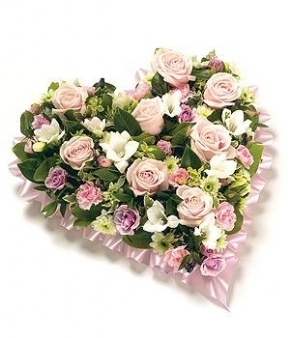 I would not have gotten flowers…today. One thing I am looking to do is read and then review books that relate to either self-help and/or within the educational remit of mental health. This has a two-fold benefit for me personally: increasing my awareness and education especially as I plan to not only continue my formal education but apply that to how I am able to help clients. And then of course, hopefully a review will help to give others food for thought when considering which books may be of use to them! After saying all of that, the first book I’m posting about is a work of fiction! I’m including it here because I actually wrote one of the short stories and felt very honoured to be included in it. The book was created as a result of a collaborative effort via Facebook… a friend had shared a link to their page and I thought I’d “whip something up” on the spur of the moment, especially as it was to be short (under 2000 words). I’d like to think that the quality is of a high standard (since I’m connected to it) and I do believe it will appeal to a varied cross-section of readers due to the differing styles of writing. If you’re interested in purchasing the book (personally I’d recommend the download version due to cost and ease of access), please click here to be taken to my Amazon astore links. If you’d like to read the Facebook page for this venture (they do plan more books), please click here and if you’d like to visit Equipe’s website to see the kind of work that they do, please click here. I will be adding their details to the Charitable Organisations page on this website. This item has also been added to My Products page, the link to which is on my Resources page.